With a notably smaller audience than other social media sites such as Facebook and Twitter, LinkedIn might not be first on your list when you are considering methods of digital advertising for your business. But as one of the nation’s oldest, most popular professional network, LinkedIn should not be completely ignored. Studies report that as many as 332 million people use LinkedIn, at least 107 million of which are in the U.S. The social media platform is growing fast, with an average of two new members joining per second. LinkedIn is used almost equally by both males and females, with substantial representation from age groups between 18 and 54. But that doesn’t mean LinkedIn is necessarily the best fit for your particular business. Users join LinkedIn to advance their professional careers, expand their network, and seek out new jobs. Does my target audience fall within the typical LinkedIn age group? LinkedIn has a much older user base than other social media sites, with the average user being around 44 years old. If your product is intended for a younger audience—say, if you sell video games for teenagers or kid-friendly candies—LinkedIn might not be the most effective platform in which to invest your energies. Can my product benefit professionals and business owners? LinkedIn draws people of all squares, but the majority of its users are professionally orientated. If your business offers a service or product that might appeal to this type of person, advertising on LinkedIn could be a good move. LinkedIn is perfect for B2B situations, when your business is targeting other businesses as customers. Does my target audience fall into a certain industry? While platforms like Facebook allow you to target potential customers by interests, LinkedIn focuses on professional affiliations. If your target audience is likely to have a certain job type, a LinkedIn campaign could be a valuable tool for pinpointing these types of individuals. It allows you to narrow down your audience by company name, job title, or industry. For instance, if you sell medical supplies, you can seek out medical professionals by selecting “medical industry” and selecting all the job types within this industry that would apply. 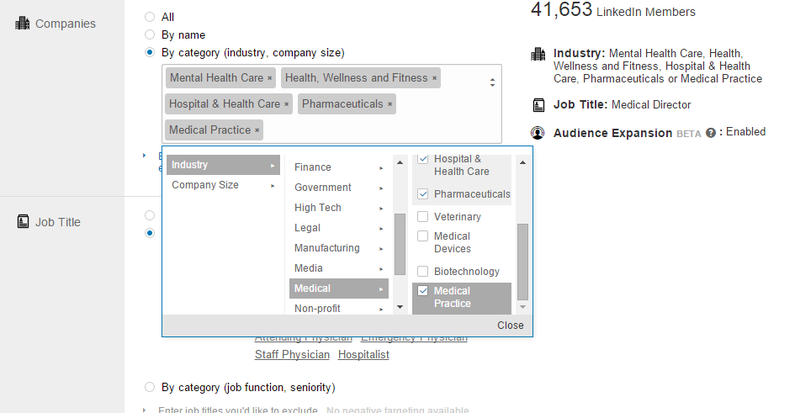 You can also enter the name of a local hospital, or specify a job title like “medical director”. If your business is small or just starting out, LinkedIn might not be a financially possible option. Pricing is based on cost per click, with the minimum budget set at $10 per day. By way of comparison, Facebook has a $1 minimum per day, while Twitter and Google don’t require a daily minimum at all. 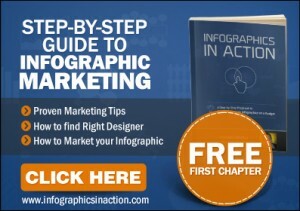 Depending on your unique business, LinkedIn ads can be hugely beneficial or a massive waste of money. But if you answered yes to several of these questions, there’s a good chance LinkedIn ads could work for you. So you’ve decided LinkedIn is right for your business. What’s next? 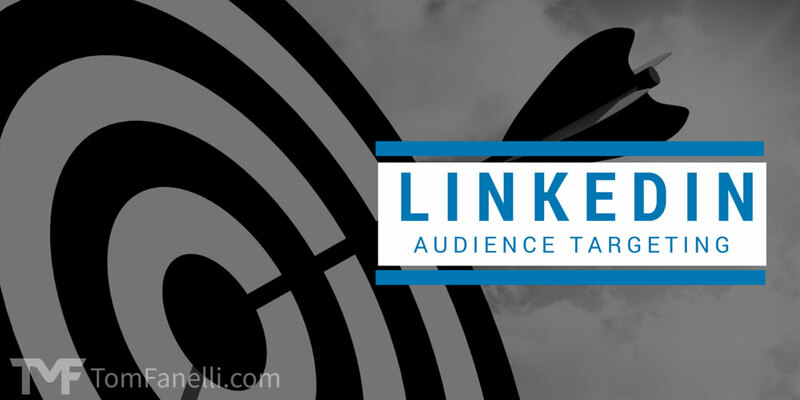 Check out my post on creating an ad and finding your target audience on LinkedIn.